Prime Movers can also provide a full or part house, garden, garage or shed clearance for you. There are many reasons why you may need to clear your home; perhaps you’re down-sizing or maybe a relative has died and you need to clear their furniture for Probate. As with all our other services, we are fully insured. We can pick up your items, for a haulage charge, and deliver to a destination of your choice, or alternatively, as we are registered waste disposers, we can take your waste to the local recycling centre or dump to be disposed of. 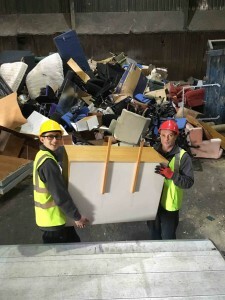 We will provide you with written evidence stating that we have received your rubbish, so you are no longer responsible for it. This will mean you don’t need to be concerned about any unlawful dumping. Whatever your needs, please contact us for a personal quotation that covers everything that you require. 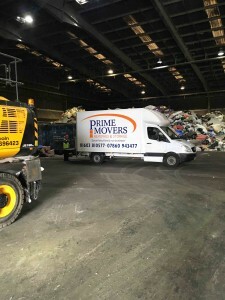 Aft er your items have been loaded, this form will be completed by us and signed by you, to state that the waste has been transferred over to Prime Movers, which you can then keep for your records. As we enter the recycling centre, the vehicle is weighed and licence shown. On exit, the van is weighed again to determine the weight of the waste dumped. We enter the dump and park at the designated site to offload. The van is offloaded by us, and waste disposed of. After being let down by another removals company, we were completing in 3 days and no one to move us. 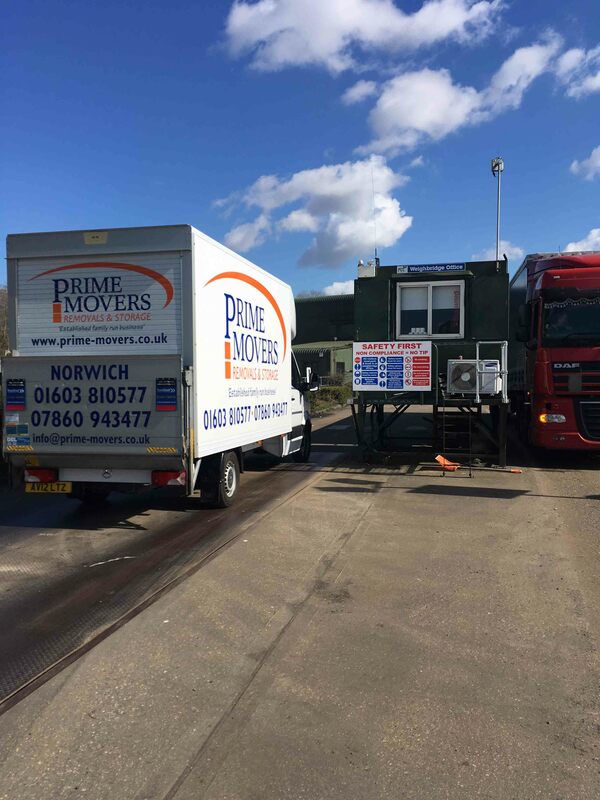 After numerous calls and searches on the websites, we came across Prime Movers who were local to us. Kevin and his team wasted no time in starting to move the upstairs furniture and boxes. This was done professionally and efficiently. By 9.30 the upstairs 4 bedrooms were all clear. Everything was loaded onto their lorry and they were on their way to our new home to unload. 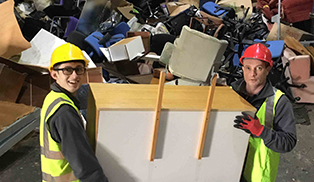 Our new home was an apartment that had awkward access but using a lift and good maneuvering skills, they managed with ease to get our large furniture in and there were no breakages, scuffed walls or damage to either our items or property. 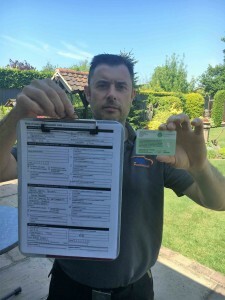 Overall, we had great service from Kevin and his friendly team and wouldn’t hesitate to used them again and we would highly recommend there services. TOP MARKS! !